Keeping your residential space organised and presentable is key to a comfortable urban living. But if you have tons of important documents scattered in your bedroom table or unused furniture stored in your garage, enjoying the already limited space in your home or condo unit can be quite a challenge. This is where personal storage units come in. If you’re that aware home builders are coming to your house for a renovation project, they may accidentally damage your things. Besides, they may be too focused on the task at hand that they’ll lose focus on the whereabouts of your stuff. Therefore, it would be better to transport your appliances and furniture to somewhere safe. There’s no better place than a personal storage unit. Have you ever been offered a big salary to work abroad? For some people, that’s their goal. How can you turn down a chance to earn twice the amount you’re earning now? Whilst you’re away, you’re going to worry about the safety of your belongings. If you live alone, there’s a possibility someone may break into your home and steal everything you’ve worked hard for. Don’t worry though because you can store them in a personal storage unit. When your child leaves your home to live in a dormitory near his college, you can change the looks of his room whilst he’s gone. You can turn his room into a game room or an extra dining area. Whatever idea you come up with, there will surely be some furniture items you won’t need for a few months. 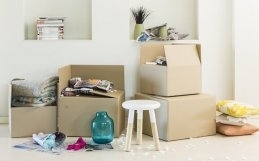 If you’re thinking of where to put them whilst your kid is away, a personal storage unit is the best solution. Whilst students are at college, they’re expected to purchase several items like a sofa and their own bed. If they’re coming back to your home for the summer, they won’t know what to do with their newly acquired things. The best solution is to put them all in a personal storage unit. 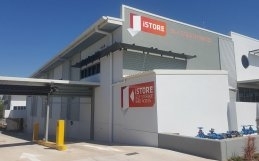 Whatever your reason is, there’s only one company you can trust with your belongings, and that’s iStore Self-Storage. 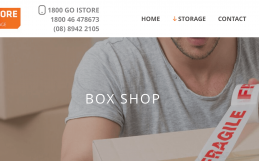 We’re a well-organised company that allows you to book our units on our website whenever you please. You can be confident about our state-of-the-art facility with security cameras at all entry’s and exits and a unique pin coded system that logs who and when entered the facility. Only authorised personnel are allowed on the premises and to make sure of that, we implemented the latest preventive measures. When outsiders see the security measures of our facility, they won’t even attempt to get in. For any questions, please don’t hesitate to get in touch with us by filling out the short form on our website.